Chipotle’s effort isn’t just a viral video: It is a content marketing play to get people involved in the Chipotle story on a gargantuan scale. I speak a lot to audiences worldwide about social media, content and marketing. And when I talk about things like Chipotle’s truly inspired effort or (in another bit of well-publicized content marketing inspiration) when Felix Baumgartner dove from practically the edge of space while 8 million people watched Red Bull’s YouTube live stream, I can read the faces of some skeptics in the audience. They project something like this: Good for Chipotle, which hired Fiona Apple (!) 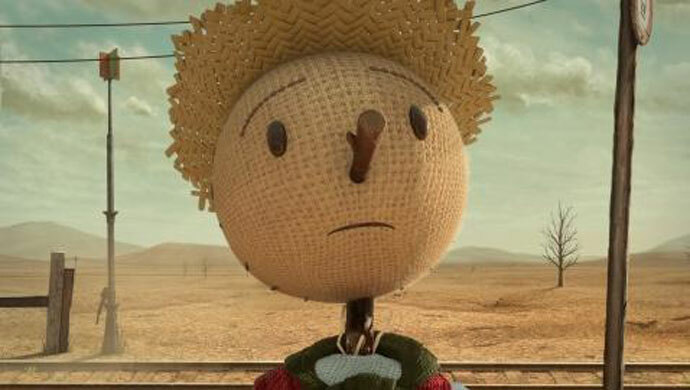 to sing the music track and tapped Oscar-winning Moonbot Studios to gorgeously animate its film. And bully for Red Bull, a multimillion-dollar company with its own content arm and years of production experience. But what the heck can my [usually smaller and less-well-endowed] business possibly learn from such sophisticated programs? I sometimes joke that a company’s first order of business to become a strong content marketer is to “find a billion dollars,” but I don’t really believe that, of course. The truth is that it doesn’t take a pile of cash to be a great content marketer. Tell your bigger story. I wish I could write this in 40-thousand-point type. It’s that important! Here’s a paradox about content marketing: Your story is not about you; it’s what you do for others. Chipotle might be a fast-food company, but its story isn’t about how you can get a cheap but good Mexican lunch on the fly. Instead, it’s about what it stands for: Good food that’s locally and responsibly sourced. You can see that key bigger message incorporated in the animation: Cultivate a better world. The “better world” isn’t corporate-focused, it’s relentlessly customer-focused. It’s about a better world for our children, for the chicken and cows, and for us all, in part through linking the content (both literally and figuratively) to the restaurant chain’s Cultivate Foundation, which has contributed more than $2 million thus far to help fund initiatives that support sustainable agriculture and family farming. In other words, Chipotle’s animation might be marketing. But it feels more important than marketing. Similarly, Nike’s “Find Your Greatness” content theme isn’t about shoes or gear; it’s about motivating and inspiring the athlete in all of us, even if we are more Eeyore than Seabiscuit. You, too, can identify your bigger story, with or without a social cause overlay. Ask yourself: How does your product or service live in the world? How does it help people? Shoulder their burdens? Ease their pain? Your story is always about the people who use the thing you sell, not about the thing itself. Cast your customer as the hero—not you or your product. Tell that bigger story relentlessly and unwaveringly: It should be the steel-infused backbone of whatever content or social media presence you ultimately create. Make sure every person creating content on your behalf is looking through your story lens, metaphorically speaking: Is this telling our bigger story? Is this content steeped in our larger mission? Incidentally, focusing on your bigger story also helps you strongly communicate what makes you truly unique. (B-school types might call this, depending on the situation, your “value proposition,” “positioning,” or “unique selling proposition”). And, of course, clearly communicating what makes you unique helps position you for long-term success. So the firm created a series of partner videos. But here’s the interesting part: The firm interviewed its attorneys about unconventional topics, filming their answers to questions like, What did you want to be when you were little? And, If you could time-travel, where would you go? Or, What is your most prized possession? That’s pretty amazing for a professional services firm, and I love that the videos (and so the firm) make it clear who they are, and who they aren’t. The bigger story isn’t about Aaron, of course. It’s this: You won’t find corporate stuffed shirts here. You’ll find real people who are smart and who value great relationships. So the headline on this piece promises just one thing. But really, I can’t not mention one more small but important thing. 1 and a half: Reimagine your content. The Chipotle video is not a one-off animation. It’s actually part of a larger story being reimagined in different formats, across different platforms and channels. Technically, the video is not a promotion for the fast food chain’s restaurants. It’s actually a promotion for an arcade-style iOS game that’s available for free in the app store, also developed with Moonbot. I downloaded the game, which challenges players to help the Scarecrow “foil the evil plans of Crow Foods and break the crows’ monopoly on food production and supply in the city of Plenty.” And if you rock the game, you get a coupon for a free burrito at Chipotle. The bigger point is this: Chipotle does a great job reimagining the story in various ways, to reach various audiences. If startups or smaller brands can steal one overarching idea from big successes like Chipotle’s, it’s this: The best content marketers approach their content not as a task or tactic or channel—not as a blog to put up or a twitter feed to broadcast messages on, or a Facebook page to collect Likes. They don’t approach their content as a requirement with the same heavy-handedness that an orphanage doles out gruel. Rather, they see it as a strategic opportunity—a very rich opportunity—to engage audiences in new and exciting ways that bring new and exciting results. They see the big picture. You have an unprecedented opportunity to speak directly to and with a larger group of customers and prospects than ever before, in the history of history. Publishing is a privilege, as my friend Tom Fishburne of the Marketoonist.com says, so don’t abuse or squander it. Rather: Embrace that mindset, and own it! This article was originally published on LinkedIn: You can check-out the original here. This post was written by and with the kind permission of Ann Handley. 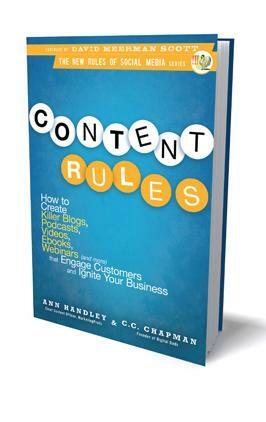 Ann is the Chief Content Officer of MarketingProfs and the co-author of the best-selling book on content marketing, Content Rules: Wow to Create Killer Blogs, Podcasts, Videos, Ebooks, Webinars (and More) That Engage Customers and Ignite Your Business. Want more? Take a stroll through AnnHandley.com.